Pizza is a pretty common favorite food. Although it is an “Italian” food, it is one of the most popular meals in America. In fact, it is so popular that we have a national day for it. 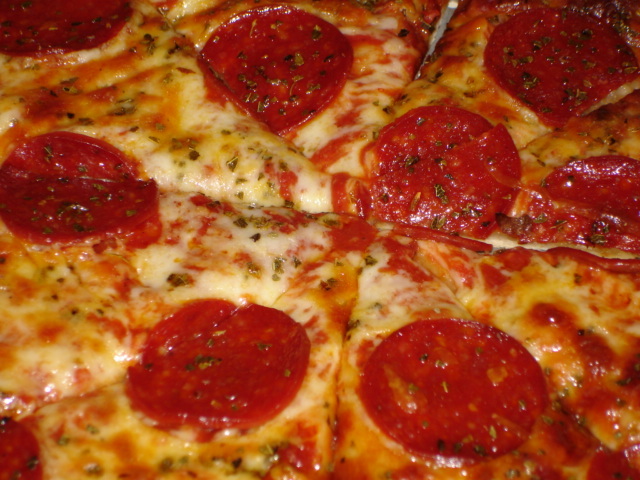 Tuesday, February 9, 2016 is National Pizza Day. You may be thinking, “Well, what does that mean for me?” It means tons of deals, coupons and freebies, of course. National Pizza Day isn’t a day people get off from work. However, it is a day that everyone can indulge in a free or discounted cheesy, doughy, greasy treat. After a long day at work and probably a long weekend (after the Super Bowl), pizza will be an easy (and affordable) dinner for the family. Chuck E. Cheese’s: Print a coupon for $2 off any large pizza of your choice. 9193 gets you two of the following for $5.99 each: medium, two-topping pizza; oven-baked sandwich; cheesy bread; eight-piece chicken; pasta dish. 9204 gives you two medium pan pizzas for $8.99 each. 9174 gives you any large pizza with up to three toppings for $7.99 (carry-out only). Donatos Pizza: Subscribe to the Donatos Email Club and get a $3 coupon. Extreme Pizza: Sign up for Extreme Savings Club and get a $5 coupon. Godfather’s Pizza: Offering numerous pizza coupons. $1 off small pizza; $2 off medium pizza; $3 off large pizza; $4 off jumbo pizza. Hungry Howie’s: If your name or surname is Howard or Howie, you can get a free small cheese pizza. Papa Gino’s: Register for Papa Gino’s Rewards Program and earn one point for every dollar spent. For every 50 points you earn, $5 is automatically credited to your account. GB30 gives you 30 percent off. F26FREEBIE gives you free cheesesticks with a large specialty pizza. POST3M gets you three medium, three-topping pizzas for $21 total. 6BRWN gives you a double chocolate chip brownie for $6. TEOMED3T6 gets you any medium, three-topping pizza for $6. ELEVENONLINE gives you any medium or large pizza with up to five toppings for $11. 10BOX gets you a one-topping pizza, five breadsticks and 10 cinnamon sticks for $10. 3T gives you two medium pizzas, breadsticks and cinnamon sticks for $20. Pizza Inn: Sign up for email updates for $5 off your order. Pizza Schmizza: Get 25 percent off your order when you sign up for Pizza Schmizza email updates. Round Table: Register with the Round Table Pizza eClub and get 15 percent off your order. Sbarro: Get two XL New York cheese pizzas at Sbarro for only $20. Uno Pizzeria & Grill: Buy any pizza and get a second pizza of equal or lesser value for $5. Of course, if there is a pizza place near you that you are wondering about, give them a call. After all, it is National Pizza Day, many places will be offering excellent deals on one of America’s favorite meals.